Rooting is a process allowing users of smartphones, tablets, and other devices running the Android operating system to attain privileged control (known as “root access”) within Android’s subsystem. Rooting is often performed with the goal of overcoming limitations that carriers and hardware manufacturers put on some devices, resulting in the ability to alter or replace system applications and settings, run specialized apps that require administrator-level permissions, or perform other operations that are otherwise inaccessible to a normal Android user. Rooting is analogous to jailbreaking devices running the Apple iOS operating system or the Sony PlayStation 3. On Android, rooting can also facilitate the complete removal and replacement of the device’s operating system. Rooting has lot of advantages. There are not many reasons for you not to root your device except the fact that your device’s warranty gets void. Usually all manufacturers provide a warranty of one year for the devices and they do not allow one to root the device and access system files. However, Android is an open source OS and hence there exists rooting! Also, you can unroot it later in case you wish to make use of your device’s warranty. -The need for a stupid useless “File Manager” that lets you see filenames but almost nothing else. Copy the downloaded file to the root of your SD Card via USB Cable or any other method according to your convenience. Now select Update.zip (the zip file you downloaded in step 1) and execute it by pressing the home button. Now your phone will be rooted after which you can select the reboot option. After this, your phone is rooted. I recommend you to download BusyBox from the Android Market after you have rooted your phone. HTC phones don’t really come with a lot of internal memory and you may like to remove some system apps which you would not use. These system apps can be uninstalled only if you have Titanium Backup on your phone and this application requires root access. So before you remove the system apps you need to root HTC Sensation. If you had already rooted your phone, the root access would be denied after you updated your phone to the official Ice Cream Sandwich. 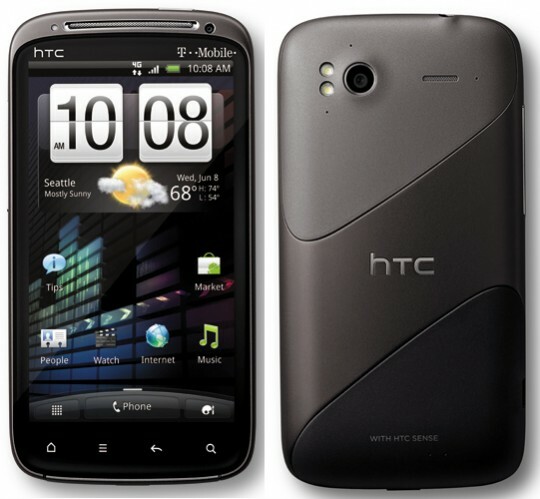 This tutorial will tell you how to root HTC Sensation and HTC Sensation XE after ICS update. There are very less chances that you will lose any data on your phone but backup is always advisable. Back up all apps using ASTRO File Manager. Disclaimer: Asgaur.com is not responsible for any damage that might be caused to your device during this process though the possibility of any damage is negligible. Try this at your own risk. Connect your phone to the PC via USB and copy the downloaded zip file to the root of your SD card and not within any folder. Boot into ClockworkMod Recovery and go to “Install zip from SD card”>”Choose zip from SD card”. Select the zip file you had copied to your SD card in Step 2. Confirm it in the next screen and flash it. Sometimes flashing once may not root your phone and you may need to repeat it 2-3 times. In this way you can easily root HTC Sensation and HTC Sensation XE easily. If you face any issues, refer the original development thread.